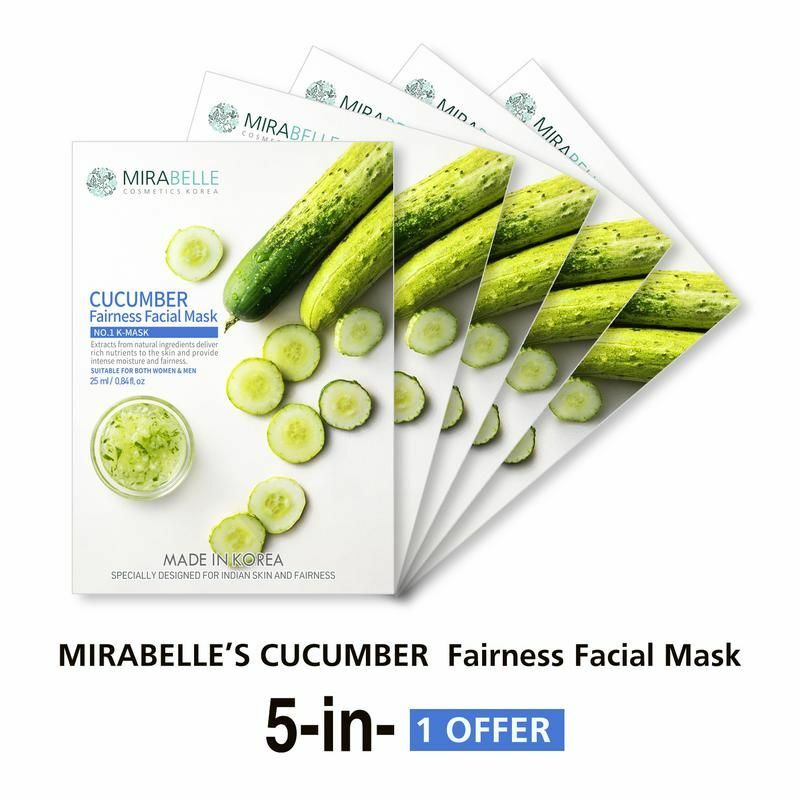 Get brighter, clearer skin tone using Mirabelle Korea Cucumber Fairness Facial Mask. This Organic Fairness Facial Mask with various Cucumber Extracts is specially formulated for Indian skin. It delivers rich nutrients to the skin and provides intense moisture and fairness. It contains mixed extracts of Cucumber, Pumpkin and Apple which allows moisture to pass through the skin and keeps the skin tone clear and bright.